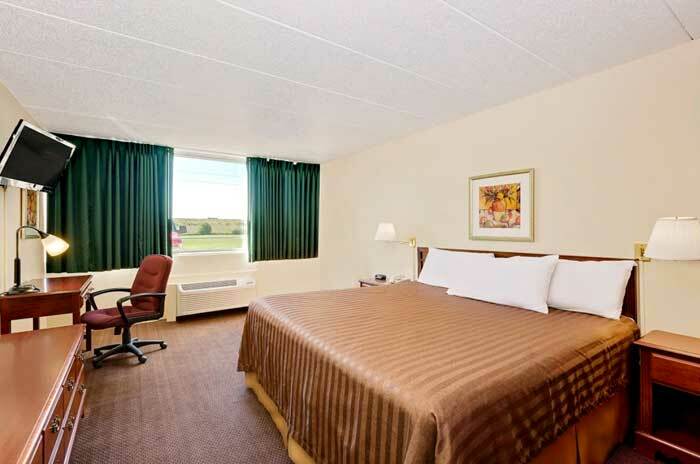 Book a room at our Worthington Norwood Inn and Suites hotel as you explore Noble County and southern Minnesota. Conveniently located off I-90, our hotel near Worthington Country Club offers you easy access to great restaurants, shopping, and area attractions. Wake to a free continental breakfast, and stay connected with free WiFi. 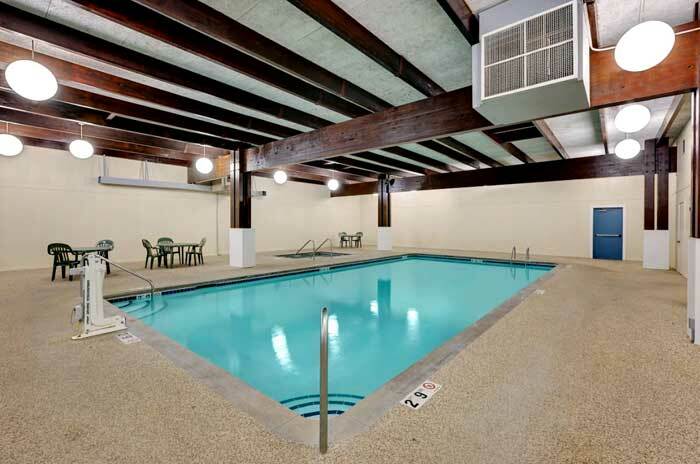 Get your heart pumping in our fitness center, or cool off in our indoor pool. Parking is free, even for RVs. Count on in-room microwaves and refrigerators. Non-smoking and accessible rooms are available. Spend a day on the Golf Course of Worthington Country Club, and see if you can shoot under par. Enjoy the sunset on Lake Okabena. Explore various cultures and Museums. Spend a day at Pioneer Village. For a fun day out with the family, ride roller coasters, Ferris wheels, and go-karts at Arnolds Park. Savor tasty American favorites at our on-site restaurant, Hickory Lodge. We are open six days a week for your dining pleasure, and we are proud of our wonderful menu and great service. With 250 square feet of event space, our hotel features 5 meeting rooms, which can be arranged to accommodate 250 conference guests or 450 banquet guests. Plan your next meeting or special event with us. We also arrange great rates for groups — large or small. Activities : Worthington offers a wide variety of recreational pursuits for all seasons, from water skiing to snowmobiling, ball games to car races. Attractions : Pioneer Village The village contains 40 restored buildings plus a museum of farm machinery reflecting the early years of Nobles County. Located adjacent to the Nobles County fairgrounds, the Village is open weekdays and Sundays, Memorial Day through Labor Day, other times by appointment. Telephone 507-376-3125. Casinos : Grand Falls Casino Resort 1415 Grand Falls Blvd, Larchwood, IA 51241 (712) 777-7777 This resort is a Vegas-inspired casino, superior shopping, a luxurious hotel, top-notch entertainment, a relaxing spa, first-class dining, and a world-class golf course. Grand Falls Casino & Golf Resort is the place to Live it Up! 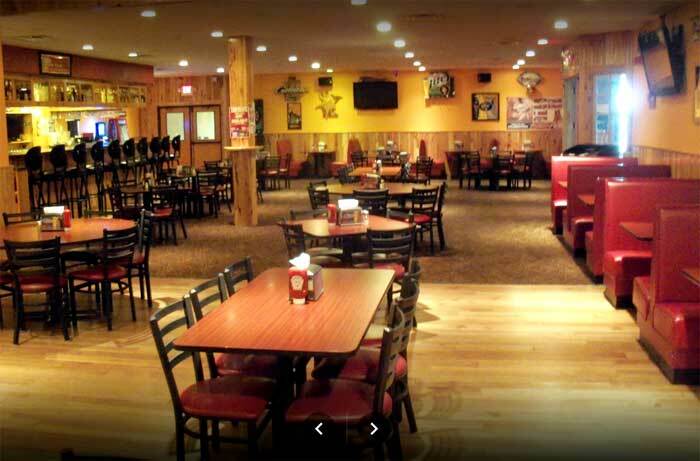 Dining : Worthington, Minnesota, is a clean, friendly community located in the southwest corner of the state. Visitors will find a variety of restaurants, shops and attractions of interest here, but it is the quality of our citizens - well-known for their hospitality - that will be appreciated most. Golf : GreatLIFE Worthington Golf Course 851 W Oxford St, Worthington, MN (507) 376-5142 Nestled in the southwest corner of the state, statuesque trees and an established course provide the backdrop for enjoying an afternoon of challenging golf in historical Worthington, Minnesota. Government : City of Worthington.Worthington is proudly known as the City of Brotherhood for an award received in 1958 for supplying emergency aid to war torn Crailsheim, Germany. Since the years following World War II, the City of Worthington has maintained a camaraderie with the people of Crailsheim and participates in an annual student exchange program. Shopping : Worthington, MN boasts a healthy retail sector with some of the best shopping in the area with over 30 restaurants, many representing foods from several ethnic cultures. University : Minnesota West Community and Technical College is a community and technical college with five campuses in southwestern Minnesota, United States: Canby, Granite Falls, Jackson, Pipestone and Worthington.